Wilbert Trading specializes in the sale and rental of heavy-duty containers, which range from intermodal, offshore, accommodation, tank to custom-designed containers for worldwide delivery. New containers are produced by expert manufacturers and built onsite under the supervision of an independent agency, in order to deliver a product as indicated in its specifications. Wilbert Trading delivers containers according to the requirements of its clients. All units are certified to the most up-to-date standards, such as DNV 2.7-1 / EN12079 for offshore containers and DNV 2.7-2 and DNV 2.7-3 for offshore accommodation modules. Containers are also compliant with CSC certificates for intermodal containers, in addition to valid test certificates for tank models. Wilbert Trading tests, evaluates and inspects every container produced and outsources independent bodies, so that a neutral product assessment is guaranteed and any issues are immediately addressed. The sale and rental of intermodal containers is Wilbert Trading’s main business. 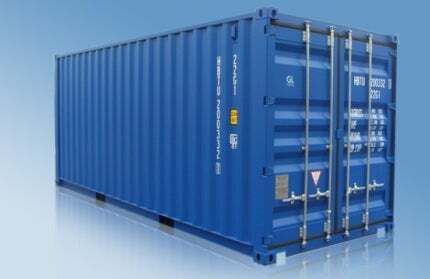 The company supplies a range of popular container types, such as dry box, open top and reefer containers. Both new and used containers are available for delivery and vary in sizes, ranging from 10ft to 45ft. Through an extensive network of agents, Wilbert Trading provides a variety of offshore containers certified to DNV 2.7-1 / EN12079. Any additions to these certifications such as Norsok are also part of the company’s delivery package. Accessories accompanying the containers are also provided. The range of IMO0, IMO1, IMO2, IMO5 and IMO7 units are all supplied with cleaning certificates, and where appropriate, test certificates that are valid for up to five years. Wilbert Trading specialises in the transportation of Chinese swap body containers for Scandinavian companies. The containers are 7.45m and 7.82m in length, and are carried from Europe to Norway using various methods of transport. Wilbert Trading has recently started developing temporary solutions for housing projects in Europe and Africa. Modular building is becoming increasingly popular and innovative constructions are being designed with industry partners. Wilbert Trading was established in 1998 and initially focused in the buying and selling of pre-owned containers. The company now includes new containers, tank-containers, chassis, roll-trailers and offshore modules in its available product range. Wilbert Trading has created business relationships with reliable companies worldwide, establishing a global network. The company covers the European market from its office in Maassluis, Rotterdam, with agents based in Scandinavia and Africa.